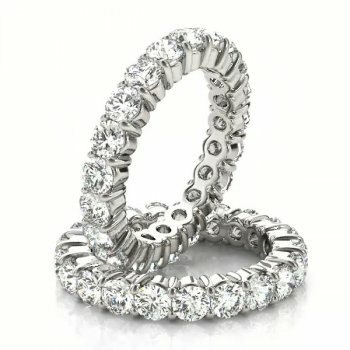 This open gallery shared prong style eternity band can be set with countless combinations of round cut diamonds to suit your budget and style. 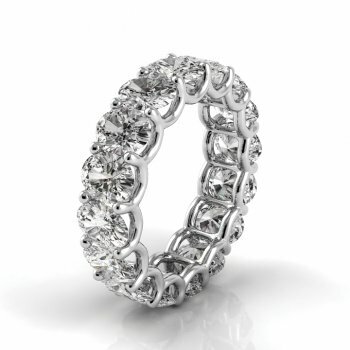 It is available in your choice of metal (Platinum, 14/18k White Gold, 14k/18k Yellow Gold or 14k/18k Rose Gold). All diamonds are matched to perfection and exhibit either very good or excellent cut. 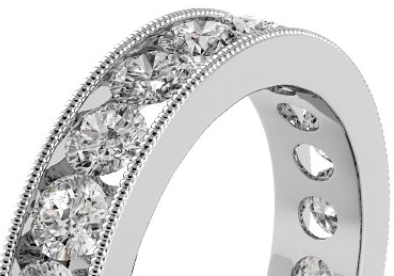 This flat prong style eternity band can be set with countless combinations of round cut diamonds to suit your budget and style. It is available in your choice of metal (Platinum, 14/18k White Gold, 14k/18k Yellow Gold or 14k/18k Rose Gold). All diamonds are matched to perfection and exhibit either very good or excellent cut. 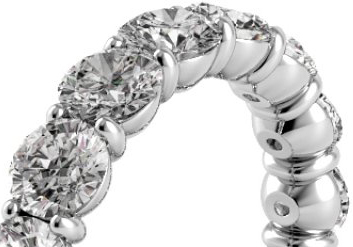 This vintage channel style eternity band can be set with countless combinations of round cut diamonds to suit your budget and style. It is available in your choice of metal (Platinum, 14/18k White Gold, 14k/18k Yellow Gold or 14k/18k Rose Gold). All diamonds are matched to perfection and exhibit either very good or excellent cut. 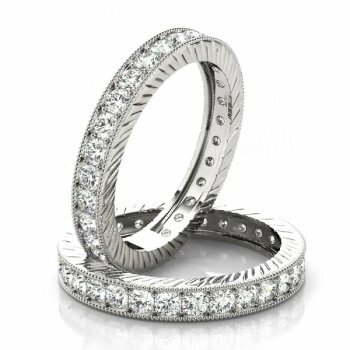 This shared prong style eternity band can be set with countless combinations of round cut diamonds to suit your budget and style. It is available in your choice of metal (Platinum, 14/18k White Gold, 14k/18k Yellow Gold or 14k/18k Rose Gold). All diamonds are matched to perfection and exhibit either very good or excellent cut. 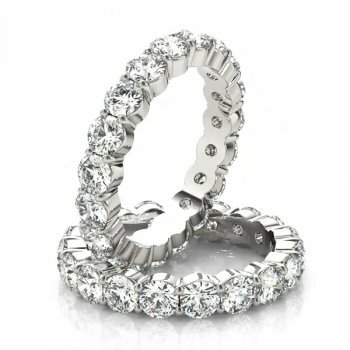 This double prong style eternity band can be set with countless combinations of round cut diamonds to suit your budget and style. It is available in your choice of metal (Platinum, 14/18k White Gold, 14k/18k Yellow Gold or 14k/18k Rose Gold). All diamonds are matched to perfection and exhibit either very good or excellent cut. 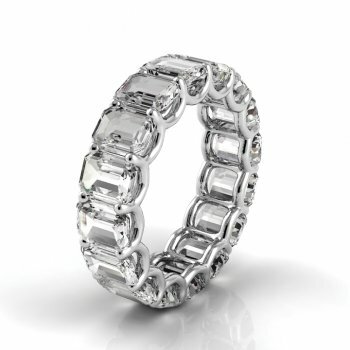 This double prong style eternity band can be set with countless combinations of asscher cut diamonds to suit your budget and style. It is available in your choice of metal (Platinum, 14/18k White Gold, 14k/18k Yellow Gold or 14k/18k Rose Gold). All diamonds are matched to perfection and exhibit either very good or excellent cut. This petite prong style eternity band can be set with countless combinations of emerald cut diamonds to suit your budget and style. It is available in your choice of metal (Platinum, 14/18k White Gold, 14k/18k Yellow Gold or 14k/18k Rose Gold). All diamonds are matched to perfection and exhibit either very good or excellent cut. 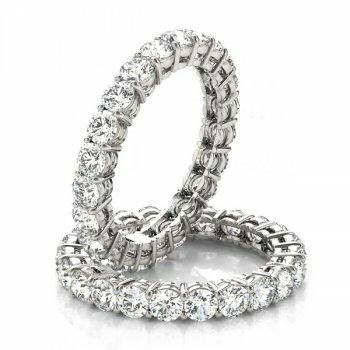 This petite prong style eternity band can be set with countless combinations of oval cut diamonds to suit your budget and style. 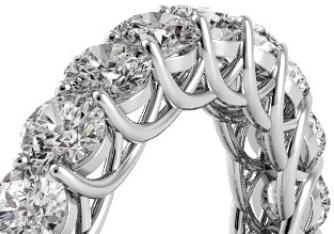 It is available in your choice of metal (Platinum, 14/18k White Gold, 14k/18k Yellow Gold or 14k/18k Rose Gold). All diamonds are matched to perfection and exhibit either very good or excellent cut. This petite prong style eternity band can be set with countless combinations of princess cut diamonds to suit your budget and style. It is available in your choice of metal (Platinum, 14/18k White Gold, 14k/18k Yellow Gold or 14k/18k Rose Gold). All diamonds are matched to perfection and exhibit either very good or excellent cut. 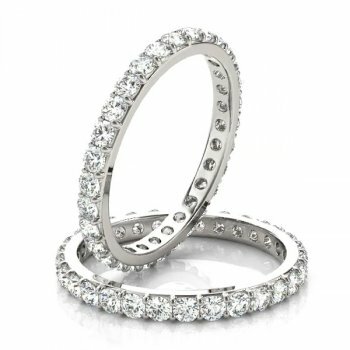 This petite prong style eternity band can be set with countless combinations of round cut diamonds to suit your budget and style. 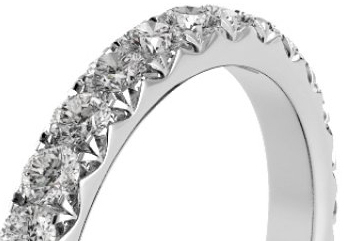 It is available in your choice of metal (Platinum, 14/18k White Gold, 14k/18k Yellow Gold or 14k/18k Rose Gold). All diamonds are matched to perfection and exhibit either very good or excellent cut. 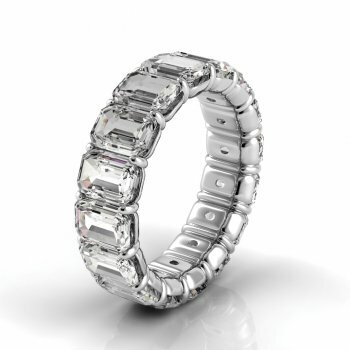 This u-prong style eternity band can be set with countless combinations of emerald cut diamonds to suit your budget and style. It is available in your choice of metal (Platinum, 14/18k White Gold, 14k/18k Yellow Gold or 14k/18k Rose Gold). All diamonds are matched to perfection and exhibit either very good or excellent cut. 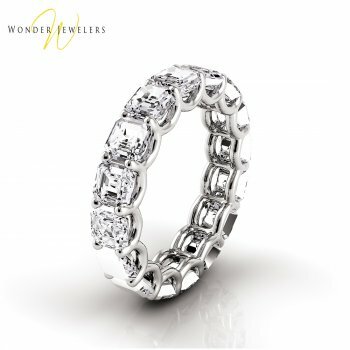 This u-prong style eternity band can be set with countless combinations of oval cut diamonds to suit your budget and style. It is available in your choice of metal (Platinum, 14/18k White Gold, 14k/18k Yellow Gold or 14k/18k Rose Gold). All diamonds are matched to perfection and exhibit either very good or excellent cut. This u-prong style eternity band can be set with countless combinations of princess cut diamonds to suit your budget and style. It is available in your choice of metal (Platinum, 14/18k White Gold, 14k/18k Yellow Gold or 14k/18k Rose Gold). All diamonds are matched to perfection and exhibit either very good or excellent cut. This u-prong style eternity band can be set with countless combinations of round cut diamonds to suit your budget and style. It is available in your choice of metal (Platinum, 14/18k White Gold, 14k/18k Yellow Gold or 14k/18k Rose Gold). 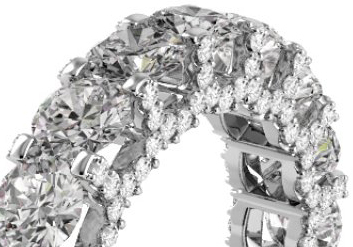 All diamonds are matched to perfection and exhibit either very good or excellent cut.